Contemporary Controls participated in ISH HVAC + Water in Frankfurt am Main last month. 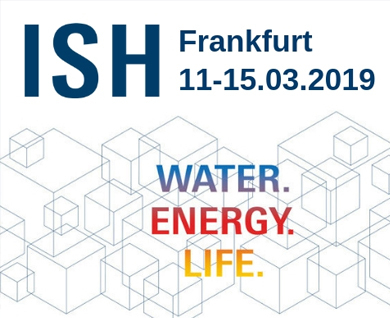 ISH is a large trade show that focuses on the latest innovations surrounding the responsible management of water and energy in buildings. The show had 190,000 visitors, 66% of whom were from outside Germany. Our stand was located near the stands of our friends at the BIG-EU and EnOcean Alliance, so our customers were able to easily find our booth. We're always happy to meet our European customers and discuss the latest innovations and challenges in their field of interest. At ISH, our new products leveraging micro PCs were fan favorites, especially the new BASpi BACnet Client Controller, which turns an already powerful micro PC, Raspberry Pi, into a BACnet client and open Sedona controller with Azure cloud connectivity, schedules, weather, and email alarms. It serves as a mini-supervisor to BACnet/IP server devices over Ethernet or Wi-Fi and BACnet MS/TP devices over EIA-485. Also popular was the BAScontrol Open Control Series which utilizes BACnet/IP as an open communications protocol, Sedona for open visual control programming, and the BAScontrol Toolset for unrestricted use in program development and archiving. Ideal for unitary control of air-handlers (AHUs), fan coils (FCUs), and rooftop units (RTUs), these controllers are freely-programmable and customizable. To all our European customers, thank you for visiting our stand at ISH 2019. We look forward to hearing from you again.